Maserati of Baltimore is getting ready to roll out the red carpet celebrity style for a very high profile celebrity fashion event with special guest Christian Siriano. 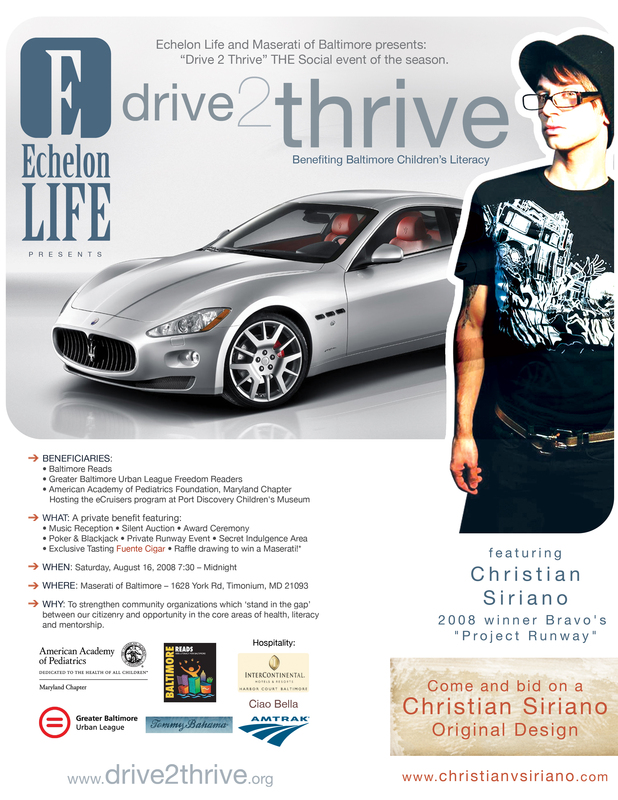 Tickets are available online at www.drive2thrive.org for this EXCLUSIVE V.I.P. BENEFIT with special guest, Baltimore and Maryland’s own Christian Siriano. Winner of Bravo Network’s PROJECT RUNWAY, Christian is happy to use his design ability and celebrity status to give back to the Maryland community that loves him. Donating one of his unique and original designs to the event’s silent auction, some lucky winner will be able to own both a piece of collectible history and couture fashion design by America’s hottest young designer. Proceeds from this ultra-sultry, sleek, and chic Baltimore Benefit will benefit Baltimore Area literacy charities. Guest space and seating will be limited for this event, so buy your tickets early. More information about the event will be released at http://www.drive2thrive.org in the coming weeks leading up to what is sure to be a spectacular and dazzling Charm City event. MORE PHOTOS ON THEIR WAY! Check back steadily in the coming weeks for more great photos and links to information about the first annual “Christmas in July” car show at Maserati of Baltimore. 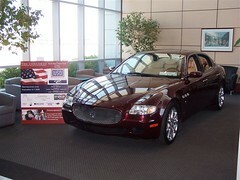 Pictures of all our Maserati of Baltimore dealership SPECIAL EVENTS are always available at http://www.flickr.com/mobexotics. Ranging in age from 16 to 23, Prestigious Innovations Car Club brought a wave of Youthful Excitement to CAR GUYS of all Ages at the 1st Annual "Christmas in July" Rain or Shine Car Show at Maserati of Baltimore helping invite people to a Road Rally to raise funds for the USO Metro. Special thanks to Prestigious Innovations for all their dedication and hard work promoting and hosting this event for the custom car clubs of Maryland and for taking such great care of our VIP exotic or antique car clients. Despite a daunting weather forecast of lightning, hail, and heavy thundershowers, the kids went ahead with this rain or shine event–and we think made sure everyone felt welcomed professionally to our dealership. Before sunset, cloudy skies turned blue for us and we had a beautiful outdoor summer car show event at our dealership. CLICK HERE FOR OUR MOBEXOTICS FLICKR PHOTO COLLECTION INDEX. We were extremely impressed with this young group’s club and event organization. Everyone in the show crowd was polite, their cars well done, and we were happy to get an up close look at the work of the next generation of automotive history in the making. The event was fun but it was not all fun and games–with so many members of the Maryland street scene actively serving in our military, the group helped us promote our upcoming Road Rally event to help raise money for the USO Metro. CLICK HERE TO SEE A LIST OF MDSTREETSCENE.COM’s MEMBERS ACTIVELY SERVING IN OUR MILITARY AND BENEFITING FROM THE USO METRO. As photos roll back in from our various Guest Services staff cameras and professional photographers, we’ll be posting our sets of footage to Flickr. If you see your ride posted and want some Internet credit to add to your street rod portfolio, email us the link to your ride’s photo and a detailed description of the car you’ve created… CLICK HERE TO SUBMIT DETAILS ON YOUR VEHICLE OR CAR CLUB BY CONTACTING mobexotics@gmail.com. Support Our Troops and Bring Your Cameras! Families and children of ALL AGES (0-101) are welcome to stop by the new Maserati of Baltimore for a visit to sneak a peek and see some of the latest hot new cars around! Free admission to all spectators. Limited competition and display spaces are available. Exotic Car Owners wishing to display their vehicles please RSVP directly to mobexotics@gmail.com to ensure your space for this fun Summer Social Event! In addition to trophies presented by the judges from Prestigious Innovations, winners will receive Great Press and Prizes from Maserati of Baltimore, M.O.B. Exotics, and Lamborghini Baltimore!!! Why: Please be sure to stop by the USO Metro booth to make a charitable donation and ask about making reservations to our upcoming CONCORSO BALTIMORE Road Rally September 6, 2008. Cost: Pre-Registration discount option is now closed, but you can still join us by showing up on Sunday evening! Cost is $25.00 at the gate for competing vehicles, no charge for display VIP vehicles. FREE TO ALL SPECTATORS! There will be NO spectator parking on-site. All dealership spaces are reserved for Car Show competitors, VIP Guests, and Staff; however, handicapped access or aid for those with depleted mobility IS available. Please enter in the competitor gate and request assistance from Guest Services or call ahead on Saturday July 26th to make your Sunday reservation. Spectator parking is available across York Road at BEST BUY. Please use common sense when parking and practice safe road crossing habits. 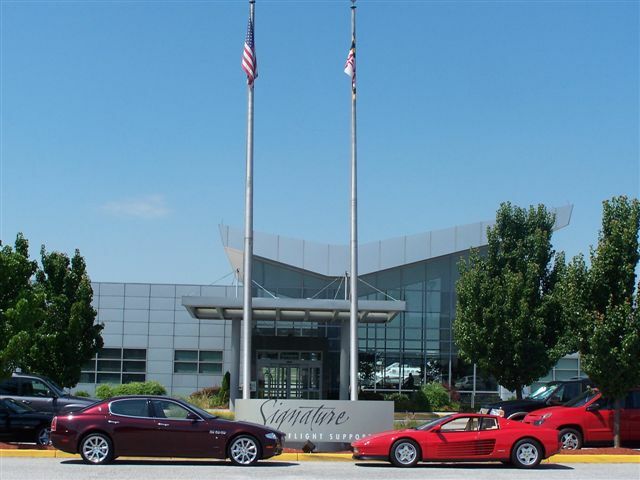 What cars will be competing in this juried auto show at Maserati of Baltimore? The best of the best from the semi-pro Maryland Street scene… and a few new car fan friendly favorites. * Winner(s) will receive a ride-a-long in one of the M.O.B. Exotics Lamborghinis or Maseratis in addition to trophy and SURPRISE prize certificate (TO BE ANNOUNCED AT 9pm). 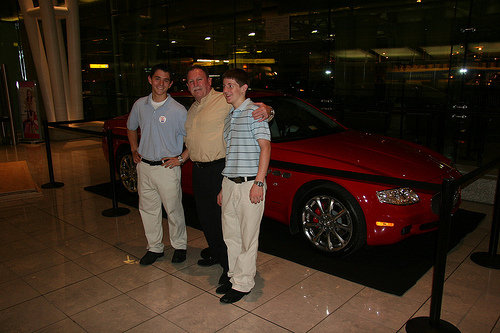 Saturday September 6, 2008 Maserati of Baltimore and M.O.B. Exotic Car Gallery will help replace the cancelled exotic car lover’s festival weekend of dreams “The Concorso 2008: Celebrating the Art of the Automobile” with a fun rally launching from the doors of the high line dealership followed by hosting an afternoon on-site “Unique, Collectible, Classic, Exotic, and Antique” car show. Rally participants will pair off in Pilot and Co-Pilot Groups. Between 9-10 am, each couple will check in for departure. At that time, they will receive their “travel kit”, a carry on goodie bags that will help them through their trip. Starting at 10 am, teams of 10-20 cars will begin to “taxi out for lineup”, preparing to take off by reserved time “flight groups” (each car being clocked for time of departure). As the MOB drivers travel through Baltimore County, they will navigate through a scenic Baltimore County route looking for passport clues. Drivers and passengers will keep in mind that the goal of this rally is to have fun–so safe and lawful driving will be expected from all teams. Finding clues to complete the passport stamps correctly will require paying close attention and keeping an eagle’s eye watch along the road. Drivers will make the flight plan loop and return to Maserati of Baltimore where they will be clocked in by the Traffic Controller and present their passport to Customs for Inspection. 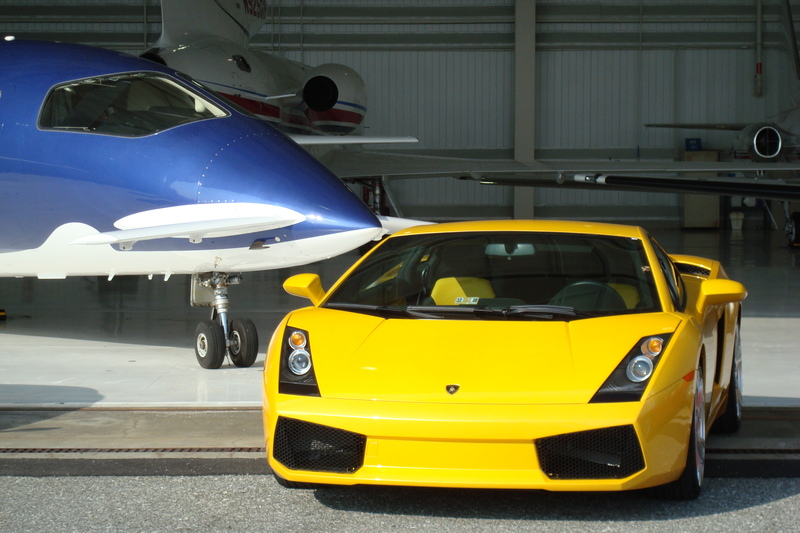 Lamborghini Baltimore Visiting Signature Flight Support... wanna race? Both before and after the Rally, light treats and refreshments will be available for road rally participants courtesy of Ciao Bella, Caffe Dei Miracoli and Vaccaros. All cars entered in the rally must be road worthy; however, they are not required to be exotic, classic, luxury, highline, or custom automobiles. As such, all makes and models of automobiles from roadsters to SUVs will be welcomed as travelers. All competing teams are required to compete the course before 1:00pm on Saturday to be eligible–allowing racers to relax, wash up thier cars, and get ready for a community concorso-style car show with co-sponsors Signature Flight Support and Chapin Davis (beginning at 2pm). As a courtesy to individuals who are planning to show their vehicles in the afternoon, Maserati of Baltimore has agreed to open their wash bays for customer use between 12-2 pm. Those not displaying a car at the afternoon function are welcome to stay on to browse at the dealership but will be asked to utilize offsite parking nearby. Maserati of Baltimore will be open for business all day (until 6pm) when Manager Jack Davis will be clocking out to check IN at the car show to pool guests for crowd favorites and to give away prizes and awards at the evening ceremony. Registration donations for the rally portion of the weekends festivities are only $25, and cost of entry will go directly to the USO at the door. To display your car in the afternoon segment, we are requesting guests make a separate $25 or pay a $50 donor fee to compete for prizes. The team who flies through the course with the most accurate estimated time match and the most passport stamps (correct answers to tourist clues) will be presented with an award. In addition, a combination of crowds and judges will award fun gifts based on vehicle classes (Unique, Antique, or Exotic) for “Best of Show for the USO”. HANDICAPPED PARKING ON SITE AND SPECIAL ACCOMMODATIONS FOR INDIVIDUALS WITH SMALL CHILDREN, ELDERLY GUESTS, OR REQUIRING SPECIAL ASSISTANCE DUE TO MEDICAL DISABILITIES WILL BE ASSISTED. Email mobexotics@gmail.com to make a reservation or request assistance. Female club members and guests get ready–because Maserati of Baltimore is the lucky venue for Style and Image Network’s latest “Beauty Night Out” event to grace our charming city. The 2nd Annual Beauty Night Baltimore focuses on indulgence, luxury, and of course the art of pampering, everything you already know and love about living a lifestyle that considers your favorite exotic car a fashion accessory. Every detail from the the luxury “whips” (the trendy new word for really chic and ultra fast car selection) at Maserati of Baltimore, Lamborghini Baltimore, and M.O.B. Exotic Car Gallery to complimentary hors d’ oeuvres, cocktails, and the world’s only chai liqueur, right down to the manicures-on us no less. We’ll even have the sweetest collection of ladies favorite chocolate desert treats by Towson Circle’s own DIVA dining and cocktail gathering spot, VIN and some magic cheesecake treats compliments of our friend and Guest Services volunteer Danielle Green of Spajama and our favorite pastry caterer from the Eastern Shore, Adore Entertaining. Chase that with iced and delicious HONEST tea from Honest Beverages, and you are really able to step out into celebrity-style luxury! The 2008 BNO Baltimore has been created to fulfill you every whim and tickle your most lavish–yet still community and ecologically conscious–desires. Peruse Maseratis, Lamborghinis, and Maseratis. Enjoy beauty treatments and cocktails. Then follow up with retail therapy fit for a clever and kind fashionista who loves organic products and eco-friendly companies… all the while, laughing and relaxing in the latest of celebrity style at our special car company, Maserati. BNO Baltimore welcomes you to indulge, shop, eat, drink and be merry. Men? TELL YOUR WIVES. Ladies, treat yourself, your mom, your daughters, your co-worker gals, and your girlfriends to Beauty Night Out. The cost of tickets is a little more if you wait to buy them at the door, so hop over to the BNO website and make your reservations now. Check out www.sinpr.com/BNO for more details and tickets. Tickets are $15 in advance and $25 at the door, and a portion of the ticket prices goes to Fashion Fights Poverty, one of Lamborghini Washington and Maserati of Baltimore’s favorite charities. For more information about BNO, please contact SIN at, 202-387-1845 or via email at info@sinpr.com. We are very serious about this pledge… FFP… incredibly worthwhile cause championed by terrific people. Let’s help them raise both money and awareness, so please–PASS THIS INFORMATION ALONG TO EVERYONE IN THE CAR COMMUNITY. Saturday, July 19th at BNO with MOB, capiche? Display at Arrival Door Three of the Baltimore Washington Airport’s Southwest Airlines Terminal throughout the month of JULY, 2008 to help raise awareness of the upcoming exotic automobile show to raise money for the USO Metro. “The CONCORSO Baltimore: Celebrating the Art of the Automobile” two day festival event, September 6 & 7, 2008, invites drivers from Pennsylvania, West Virginia, Central Virginia, Northern Virginia and the DC Metro up to the Baltimore Washington area to raise money for the USO Metro in the DC area. For more information, please visit http://www.usometrodc.org (including ticket purchase and exotic car registration). Follow the road to B’more with Maserati of Baltimore! The rally begins at our front door [1628 York Road, Lutherville Timonium, Maryland by GPS] at 10:00 a.m. on Saturday Morning by advance ticket purchase registration, check in and morning car show social begins when our dealership doors open at 9:00 a.m. with reserved ticket groups departing incrementally at 10:00, 10:15, 10:30, 10:45, and 11:00 for an hour and thirty minute “Passport” fun rally through Baltimore County. Check out the USO Metro website for ticket info. And yes, if you find the car of your dreams on our lot that morning, we are open for business all day. Buy a vehicle through Jack Davis, the general Manager, directly that day as your “sales person” (September 6, 2008 between the hours of 9:00 am and 9:00 pm), and he will donate a portion of the sale proceeds to the USO Metro to show our dealership’s continuing commitment to the project–and as a thank you to all our servicemen and service women and their families for all their hard work, dedication, and national support! Happy Independence Day, Troops! Thank you! Visiting traffic please note… If you are interested in finding out more about local independence day celebrations in the Baltimore or Washington DC Metro area, click one of the links below or scroll down for more information on ways help M.O.B. 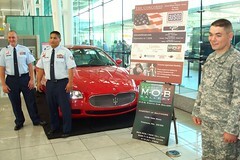 Exotics and Maserati of Baltimore to support the USO Metro. Sparkle and shine fireworks in the lobby of the terminal at Signature Flight Support–oh yeah! All that love of speed, luxury, and comfortable travel opportunities symbolize are summed up in the ideals Maserati and Signature represent to upscale clients in the Baltimore Washington area community–and the result is an incredible display of support for our service men and service women working on behalf of the United States citizens today. Our Maserati QP will be on display at Signature Flight Support to draw crowd attention to their upcoming “Wings and Wheels” event. September 6th, 2008, Signature will be hosting a bash to benefit the USO Metro. Tied with “The Concorso: Celebrating the Art of the Automobile”, tickets are available NOW through the USO Metro. In addition to the festivities that night and planes, exotic automobiles, and anything that moves, the group will be holding a silent auction to raise proceeds for the non-profit organization. Special thanks to Patrick Moylan for making sure we were allowed to bring the bling to draw awareness to this unique automotive event. 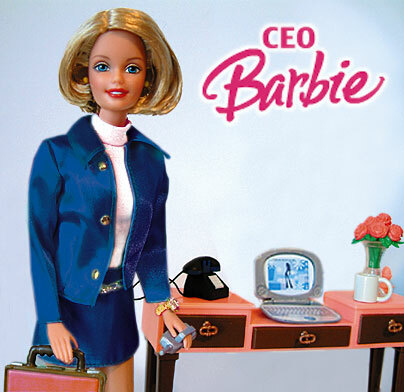 We will be referring clients to your service, absolutely, in the future. Amidst the shuffle of the crowds around our display to benefit the families of our country’s servicemen and servicewomen, your professionalism and courtesy show to our clients has made all the difference! Arrive in style this Fourth of July, everyone. Drive and travel safely. Visit www.usometro.org for more information or to purchase tickets for any part of the September 6th and 7th event. Looking for the old MOB EXOTICS? We've MOVED! Join our new special events group on Facebook by clicking HERE. The "MOB EXOTICS" Italianizzato Club (officially established in January 2008 by FerrariFans.ORG, MaseratiFans.ORG, and LamborghiniFans.ORG), was founded by a small group of devoted car lovers residing in the Mid-Atlantic region of the United States. As an online news media source, we are not the official representatives of any organizations mentioned or listed as open networking partners. i. Playing In Traffic, a community events blog and local Italianizzato car club site, is solely owned and operated by "Connections Prep", a privately owned and operated company is affiliated with any factory authorized dealership. ii. Connections Prep, as an organization, is not affiliated with with the past or present ownership group of Maserati of Baltimore (closed in 2010), Maserati of Washington (owned by FMSOCAL) or any other factory authorized dealership group. iia. We have and continue to emphatically support the success and professional growth of exotic car businesses across the Mid-Atlantic region, including all dealerships and car-oriented events mentioned in archived news articles. However, content listed about dealerships, clubs, or events may or may not be current if posted 15 or more days prior to latest post news. iib. As an independent multi-media research and promotion tool, we are not part of any one car club or special events group. We are here solely as an event and news media source to help promote Maserati, Ferrari, and Lamborghini through local civic gathering news. Please continue to refer to official websites for all current event and contact information about past or current articles. iic. We continue to represent the community groups and organizations listed and are happy to include all ongoing community special events related to luxury products, community service initiatives, and exotic car enthusiasm. To inquire about working with Connections Prep hosting events or to learn more about our IT Marketing Services, please email connectionsprep@gmail.com directly for contact information. We specialize in Online Event Promotion and Search Engine Optimization for a variety of small business special interest groups. Connections Prep works diligently to help promote charity events and vendor showcase events in the Baltimore-Washington DC Metro region. To volunteer vendor services, assistance with ongoing community events, or to suggest the use of a venue to help the club continue to host exotic car events in your local area or region, please email mobexotics@gmail.com. Thank you for showing your continued support and loyalty for exotic car brand promotions by joining us at our events, and for your continued participation and generosity donating time and money to our local charity benefit drives and initiatives. As always... please continue to drive safe, have fun, keep reading here, and PLAY IN TRAFFIC. Click HERE to read or subscribe to the Exotic Car Examiner.